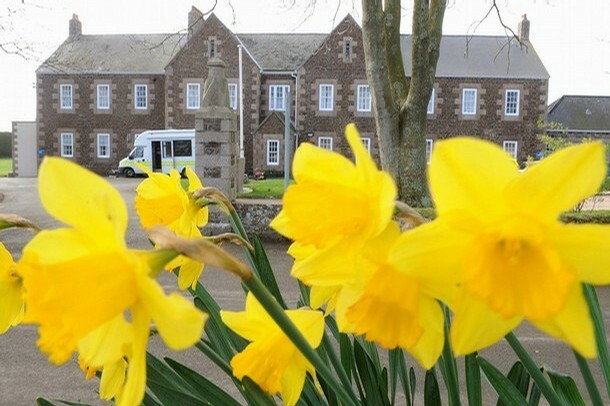 The Jersey Care Leavers Association is aware of the request by Deputy Bob Hill for a formal apology to be made to the former Chief Officer of Police, Mr. Graham Power QPM. We would wholeheartedly support this, but are dismayed and surprised with the response that the Chief Minister has given to Deputy Hill, and would wish the following comments to be noted. · As has been quoted before at no time were we given false hope of convictions by Graham Power or Lenny Harper and the team investigating the abuse scandal. We were invited to come forward with information as part of the ongoing investigation, and at all times were treated with dignity, respect and understanding in our dealings with the investigation team at that time. It is indeed due to the sympathetic manner we were dealt with that we felt at ease talking with this team, and thanks to that, some convictions have taken place. · The whole context of the relationship with the new incumbents to the Police when Mr. Power was suspended and Mr. Harper retired changed noticeably in regard to any trust that had been built up previously hence we see no requirement at all for an apology from either Mr. Power or Mr. Harper. On the contrary we have a lot to be grateful to them for. · We are rather concerned that yet again it appears that the people of Jersey and the financial aspects appertaining to the investigation(s) seem to take precedence over the real issue – i.e. child abuse and the victims who have not seen any justice or closure. It would be hoped that the people of Jersey and States Members will realise that this is a matter that can never be put to rest by those who suffered at the hands of the States of Jersey, and to state that ‘enough is enough’ can only but add insult to injury. · It must be noted that the team of Mr. Power and Mr. Harper secured convictions, and indeed cases are still pending thanks to their good work. For that the Jersey Care Leavers’ are thankful. It is rather unfortunate that the Chief Minister does not see fit to offer praise and support where it is very, very due – to the very gentlemen who he refuses to apologise to. I think the issue here is whether the police work was text book police work and following an independant review form an outside police force it most certainly wasn't. We cannot make a comparison with any other police force in the way the JCLA were treat but I understand the way they were treat was standard police practice. I think the point here is that neither before, nor indeed after Mr Harper and Mr Power's watch did the abused who had dealings with the police have any trust or confidence that their voices would be heard and that they would be believed. The ACPO reports, which some of our politicians care to overlook praised the manner the investigation, and now our Chief Minister has openly stated in the States Chamber that Mr Power is innocent of the charges against him, there is no reason why he should not issue an apology. There is absolutely NO reason why Messrs Power and Harper should have to make apologies to anybody and this is what the Care Leavers are saying. Standard police procedure nothing! One of the most important aspects of "standard police procedure" is the requirement to treat victims with dignity and respect". Gradwell and Warcup did neither. Interesting how this press release from the police about the washed up man came out today. It could have been made any time. It was not time critical, that I can see. But it happens on the same day that Deputy Hill was debating Napier. Co-incidence? "The Forgotten Australians" is a powerful documentary which was aired on SBS TV, Australia on November 16 2010. It exposes the untold history of Australia's care institutions, where thousands of children who were placed in homes and orphanages across the country experienced physical, emotional and sexual abuse. Exactly one year earlier the then Prime Minister Kevin Rudd and the Opposition Leader Malcolm Turnbull had issued a motion of an apology to the survivors on behalf of the nation. The documentary commemorates the apology and the journey to get there. Any functioning community must acknowledge and address wrongs comitted against any members of their group for the good of the whole. The de facto job of the Police is to secure convictions, nothing more, nothing less. It does not even matter whether the person is really guilty or not, as long as they plead guilty. They are ably supported in this role by Jersey's Advocates who happen to get rich at the same time and of course hundreds of prison officers, probation officers, court officials and civil servants all feed off their work. The Criminal Justice system is just another form of tax and spend. Victim support is about making sure the person gives evidence in Court not actually supporting the victim. You're too old to believe in justice, but Father Christmas does exist! I think the cost of the investigation cannot be just shoved aside because its our money. Sorry for taking a different view of it all but when I read about the over spends by Harper's team during the enquiry I was hardly that impressed.